Description Slight surface abrasion. From in two histories of Oswego: Lucia Bliss, 1948 & Elizabeth Ryan, 1951. [Scrapbook compiled by Theresa Truchot; stored in Original Documents Archive.] 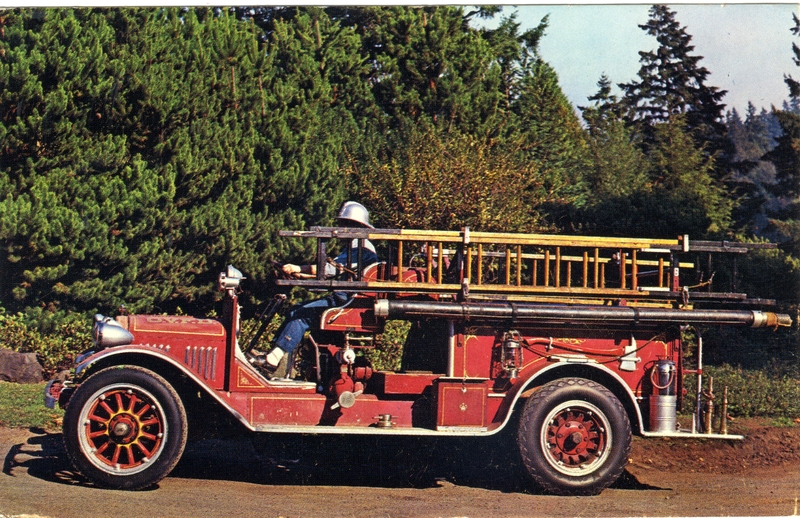 Scrapbook caption: First fire truck bought in 1923. Volunteer Fire Dept. organized 1911.